With its decorative brown band and speckles set on an ivory background, this 10 oz. 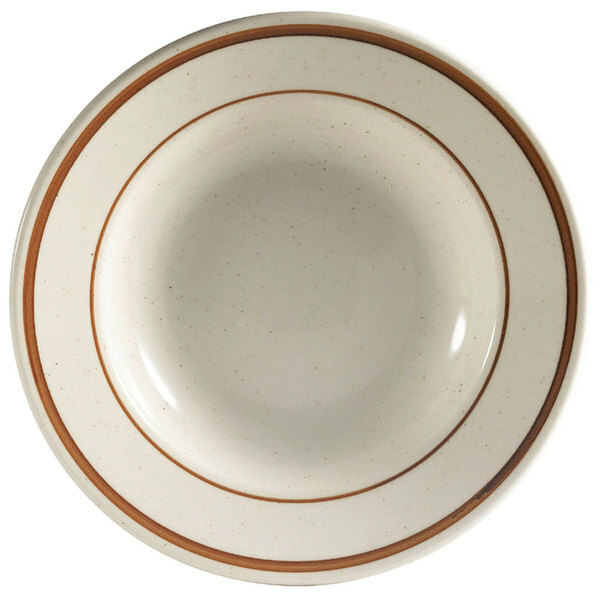 narrow rim brown speckle china soup bowl is the perfect alternative to plain white china. 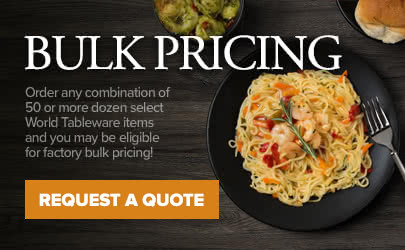 It's ideal for serving ice cream, soup, salad, and other appetizers in your pizzeria, diner, or family restaurant.